There are going to be somewhere in the neighbourhood of 35 acts playing Rancho for Canadian Music Fest this year. The entire five-day stretch is being co-presented by TWM, and CMF has been gracious enough to let me have a big hand in picking these lineups. I honestly believe this is the strongest lineup we will have ever presented at any of the music festivals — those of you who have been around a while know that we’ve delivered in a big way in prior years. This column is the first in a series featuring the acts who will be playing, with a little profile of what to expect. Bloodgroup have been gaining some attention worldwide, having played CMJ, NXNE, and SXSW within the last year or so. Their sound is a very catchy and dancey electro indie-pop. The songs are easy listening, but subtly complex and at times huge sounding. 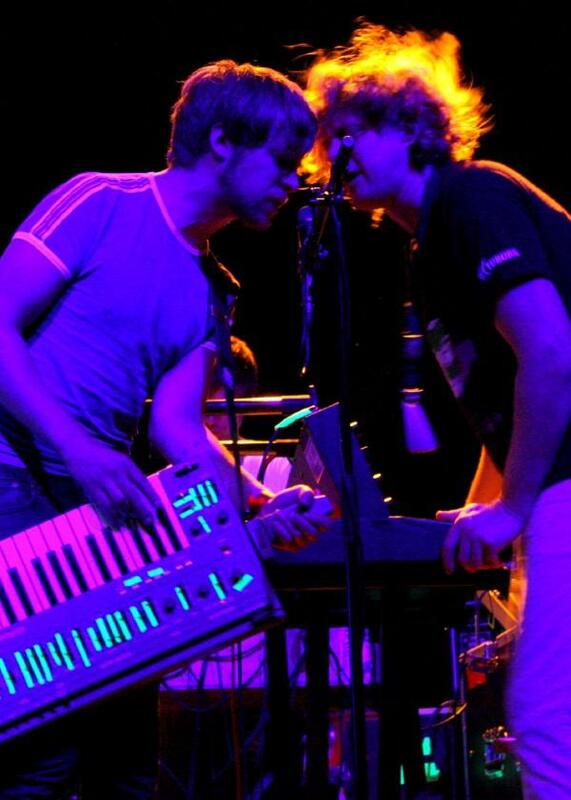 They’ve received a fair amount praise, in particular for their song “My Arms”, an indie-pop virtuoso. The song literally has everything you could ever ask for in a pop track: haunting strings, huge synths, big bass, killer chorus, hypnotic background vocals, and so much groove. What can you expect? A dynamic live show — almost as if Arcade Fire combined with the Radio Dept and decided to start an electro-pop band. This is electro music duplicated live, not pre-packaged and performed with a bunch of laptops. If you are not going to be buying a pass this year but are into electro indie-pop music, then the showcase featuring Bloodgroup is perfect for you. The entire night will be as part of the ongoing monthly Rancho Electro series, co-presented by TWM, with some of the best electro-pop from all over Canada and the world. Next profile: Writers Strike coming soon.